Bring the beauty of gold to your jewelry-making projects with gold-filled wire. This wire features a layer of real gold bonded to a base metal core, giving you a sturdy wire with the beautiful look and feel of 14 Karat gold meant to last. From wire wrapping and weaving, to creating links, head pins, and earwires, this wire is an essential supply to have on hand. Make sure to explore our rose gold-filled options for a fiery look in designs. Create professional jewelry designs with the help of the 1/20 14K rose gold-filled half hard round wire. This 22 gauge wire is half hard, which provides mid-range malleability. This size of wire generally works with average bead holes and can be used to create links, handmade chain and earwires. You can use this bright coppery wire to coordinate with other rose gold items. This wire comes in approximately one-half troy ounce sections and approximately 17 feet. 14K/20 Gold-Filled Wire, Round 20 Gauge Half-Hard Approx. 1/2 Troy Oz. Create amazing wire-wrapped designs with this 14K/20 gold-filled wire. This wire is half-hard, so it's great for giving a stronger hold in jewelry designs. Use it to create earwires, jump rings, and more. The size 20 gauge is flexible yet strong making it an excellent foundation. You'll love the classic golden shine of this wire. Pair it with other gold-filled components for a professional touch. 14K/20 Gold-Filled Wire, Round 20 Gauge Half Hard-Approx. 1 Troy Oz. This gold-filled wire is a beautiful, high-quality option for wire-wrapping projects. You can also use it to create head and eye pins. It features a sturdy yet flexible 20 gauge that you'll love working with. Half hard wire is ideal for creating a stronger hold, so use it for making jewelry components such as ear wires, jump rings, and more. 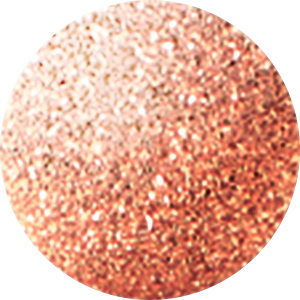 This wire displays a beautiful golden glow that will add a warm touch to any look. 14K/20 Gold-Filled Wire, Round 26 Gauge Half-Hard Approx. 1/2 Troy Oz. Create amazing wire-wrapped designs with this 14K/20 gold-filled wire. This wire is half-hard, so it's great for giving a stronger hold in jewelry designs. Use it to create earwires, jump rings, and more. The size 26 gauge is very flexible, so you can easily bend this wire as desired. You'll love the classic golden shine of this wire. Pair it with other gold-filled components for a professional touch. 14K/20 Gold-Filled Wire, Round 22 Gauge Half Hard-Approx. 1 Troy Oz. This gold-filled wire is a beautiful, high-quality option for wire-wrapping projects. You can also use it to create head and eye pins. It features a 22 gauge that is sturdy and flexible to work with. Half hard wire is ideal for creating a stronger hold, so use it for making jewelry components such as ear wires, jump rings, and more. This wire displays a regal golden shine that will add classic beauty to your designs. 14K/20 Gold-Filled Wire, Round 22 Gauge Half-Hard Approx. 1/2 Troy Oz. Create amazing wire-wrapped designs with this 14K/20 gold-filled wire. This wire is half-hard, so it's great for giving a stronger hold in jewelry designs. Use it to create earwires, jump rings, and more. The size 22 gauge is flexible yet sturdy, making this a versatile wire to work with. You'll love the classic golden shine of this wire. Pair it with other gold-filled components for a professional touch. 14K/20 Gold-Filled Wire, Round 28 Gauge Half-Hard Approx. 1/2 Troy Oz. Create amazing wire-wrapped designs with this 14K/20 gold-filled wire. This wire is half-hard, so it's great for giving a stronger hold in jewelry designs. Use it to create earwires, jump rings, and more. The size 28 gauge is very flexible, so you'll love creating amazing pieces with this wire. You'll love the classic golden shine of this wire. Pair it with other gold-filled components for a professional touch. 14K/20 Gold-Filled Wire, Round 24 Gauge Half Hard-Approx. 1 Troy Oz. This gold-filled wire is a beautiful, high-quality option for wire-wrapping projects. You can also use it to create head and eye pins. It features a flexible yet sturdy 24 gauge size. Half hard wire is ideal for creating a stronger hold, so use it for making jewelry components such as ear wires, jump rings, and more. This wire displays a regal golden shine that will add classic beauty to your designs. Add shining accents to your designs with the 1/20 14K rose gold-filled half hard round wire. This 24 gauge wire is half hard, which provides mid-range malleability. Use it to create essential beading supplies like links, head pins and more. Use it to create necklaces, bracelets and even earrings to give them a professional feel. You can use this bright coppery wire to coordinate with other rose gold items. This wire comes in approximately one-half troy ounce sections and is approximately 27 feet. 14K/20 Gold-Filled Wire, Round 28 Gauge Half Hard-Approx. 1 Troy Oz. This gold-filled wire is a beautiful, high-quality option for wire-wrapping projects. You can also use it to create head and eye pins. It features a very flexible 28 gauge size, so try it for more intricate wire-wrapping styles. Half hard wire is ideal for creating a stronger hold, so use it for making jewelry components such as ear wires, jump rings, and more. This wire displays a regal golden shine that will add a warm touch to any look. 14K/20 Gold-Filled Wire, Round 24 Gauge Half-Hard Approx. 1/2 Troy Oz. Create amazing wire-wrapped designs with this 14K/20 gold-filled wire. This wire is half-hard, so it's great for giving a stronger hold in jewelry designs. Use it to create earwires, jump rings, and more. The size 24 gauge is sturdy yet still flexible, so you can use it in many different ways. You'll love the classic golden shine of this wire. Pair it with other gold-filled components for a professional touch. 14K/20 Gold-Filled Wire, Round 26 Gauge Half Hard-Approx. 1 Troy Oz. This gold-filled wire is a beautiful, high-quality option for wire-wrapping projects. You can also use it to create head and eye pins. It features a flexible 26 gauge size. Half hard wire is ideal for creating a stronger hold, so use it for making jewelry components such as ear wires, jump rings, and more. This wire displays a regal golden shine that will add a warm touch to any look. Create shining designs with the help of the 1/20 14K rose gold-filled dead soft round wire. This 24 gauge wire works as a high-quality threading material for your designs. The wire is dead soft, which is our most malleable wire. You can use it for a crochet wire bracelet strung with beautiful beads. You can use this bright coppery wire to coordinate with other rose gold items. This wire comes in approximately one-half troy ounce sections and is approximately 27 feet.